High school is a weird time for most people because everyone’s trying to figure out where they fit. Laura Greeley was ahead of her time, though. She uncovered important truths about her passions back then, and the postdoc in Scott Peck’s lab at Bond LSC hasn’t looked back since. “In high school, I noticed that I had an affinity for chemistry and was inspired by biology, which helped me focus on the path that lead to where I am today,” Greeley said. While no two days in the lab are the same, Greeley works on a main project centered around mass spectrometry, a technique that is sensitive enough to detect mass changes in molecules as small as a hydrogen atom. This can be used to identify many things, but in Greeley’s case, she wants to identify proteins and molecular changes in them. Working on such a small level has bigger applications. 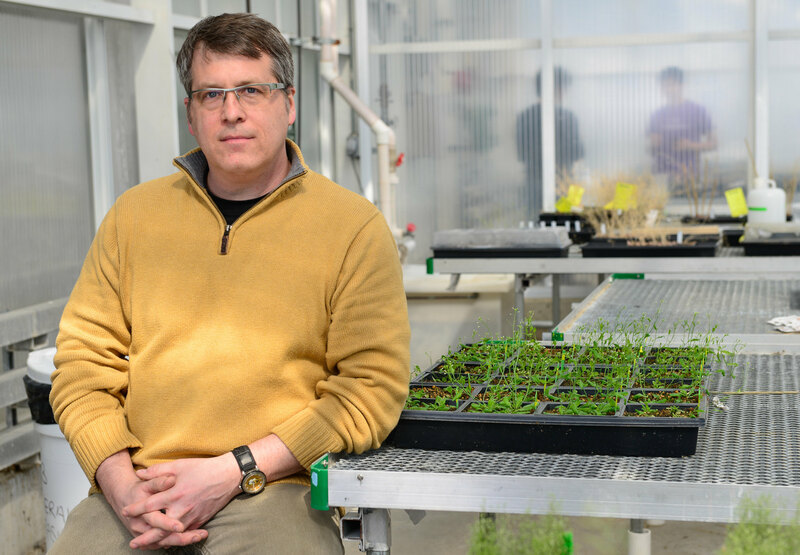 How these proteins change when under stressors like drought can tell Greeley and the team of scientists working on this project more about why roots are able to survive, even in the harshest of water conditions. Ideally, Greeley would like to see the team uncover how corn root continue growing under harsh drought conditions. This would be an important stepping stone to engineering better crops to help prevent yield losses and, therefore, increase the food supply. Teaching has also shared the stage with Greeley’s research. Thanks to the guidance of Peck, she’s working toward standing in front of students in the classroom. Peck’s mentorship has helped Greeley focus her scientific zeal in the classroom and the lab. 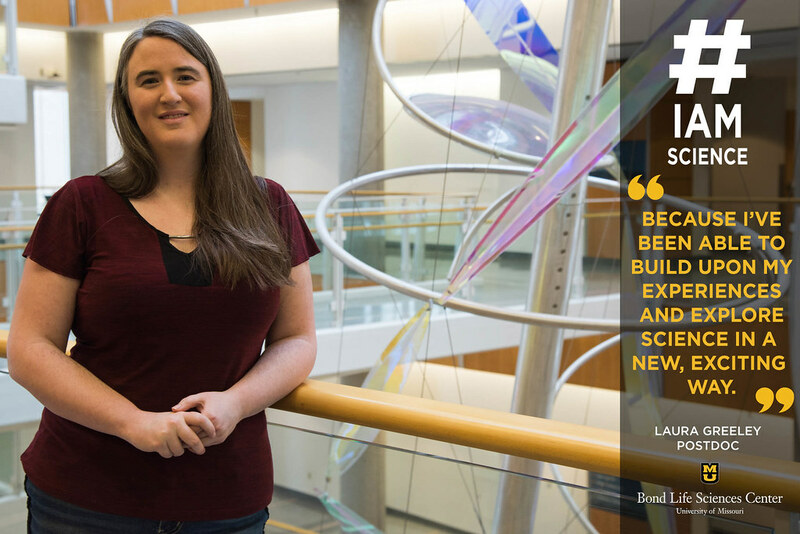 After finishing her postdoc, Greeley hopes to keep discovering more answers to the questions she has in the world of science. A lot of people get signs as a guide for the direction they’re supposed to take in life. Tyler McCubbin’s sign was more literal. 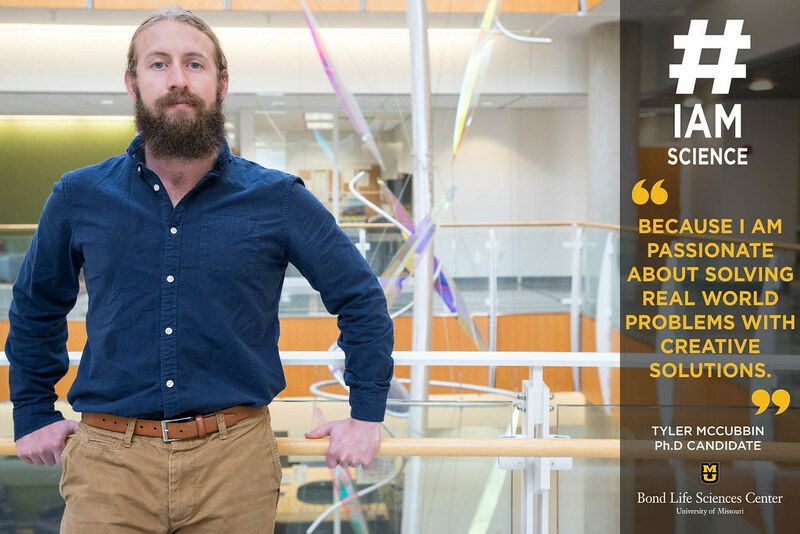 Now as a second year Ph.D. student collaborating with Scott Peck’s lab in Bond LSC, McCubbin studies drought’s impact on the crown roots of corn, which grow from the stem. By using a strategically designed apparatus, McCubbin can control the soil environment the corn grows in and better understand why crown roots continue to grow. Doing that has streamlined his research and given him the opportunity to find results that can be applied to other aspects of the grant. 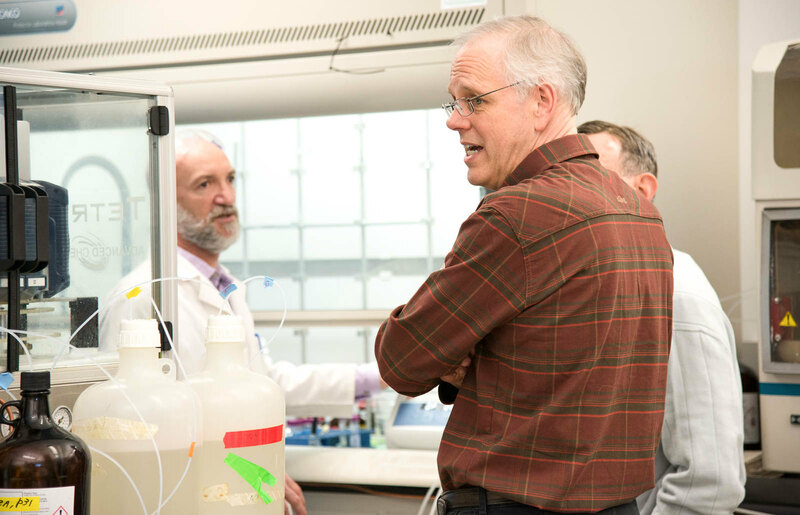 While the effort is collaborative between a number of labs, McCubbin is impressed by how centralized it is. And when he’s not working on the mechanisms that make corn roots able to survive drought, McCubbin spends as much time as possible outdoors. Asking kids what they want to be when they grow up usually leads to a variety of answers: doctor, lawyer, president, astronaut. A few years down the line, though, most of those answers change. 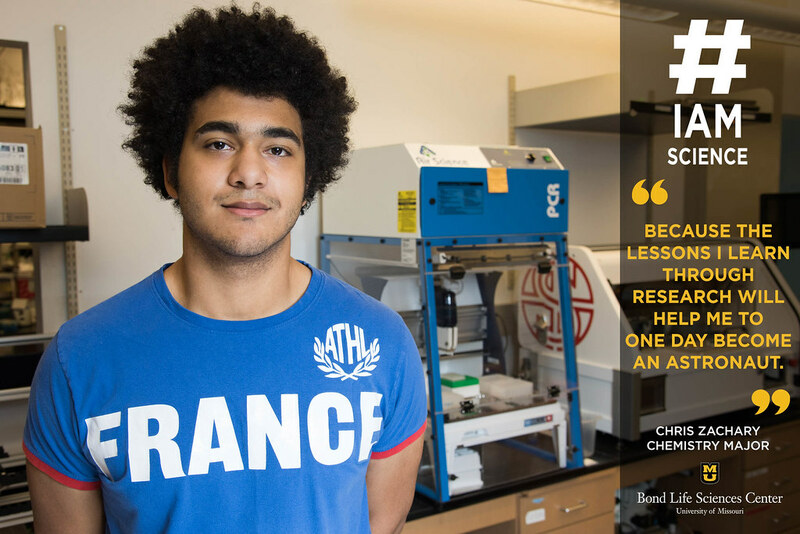 Chris Zachary, a junior chemistry major, is the exception. He never outgrew the dream of being an astronaut and is involved in science, technology, engineering and mathematics (STEM) with going to space in mind. “There isn’t a clear path to becoming an astronaut, but I was advised to stay in STEM,” Zachary said. While his ultimate goal requires some extreme preparation and travel, Zachary keeps himself involved to make that dream a reality. 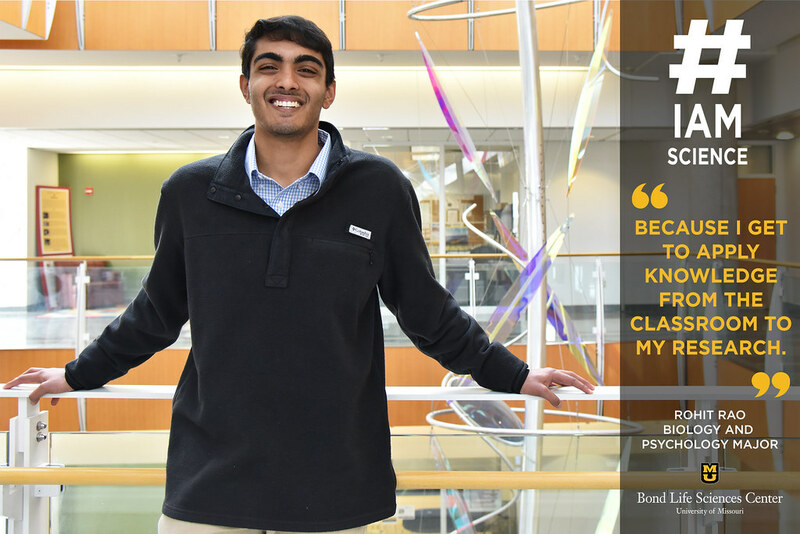 Right now, he works in the Mendoza lab at Bond LSC, which he found through his involvement with Mizzou’s Initiative for Maximizing Student Diversity (IMSD). 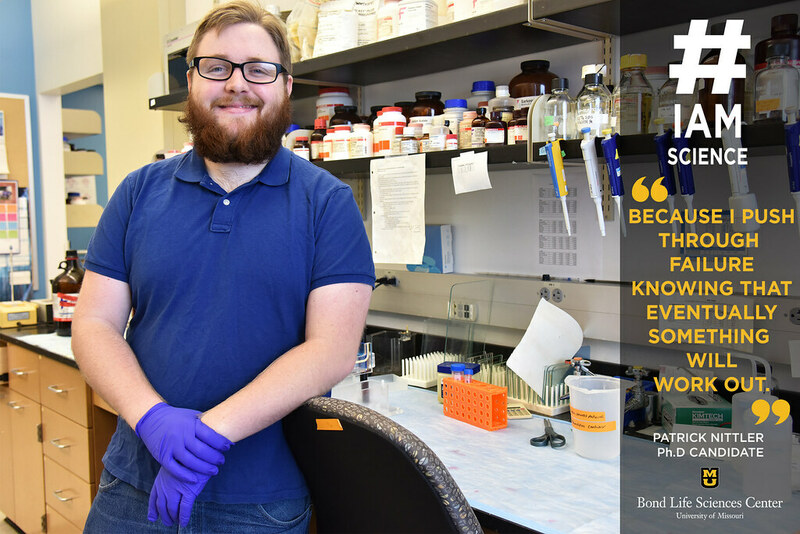 The opportunity to do something a bit outside of the norm was appealing to Zachary because it helps to diversify his experience as a researcher and a student. 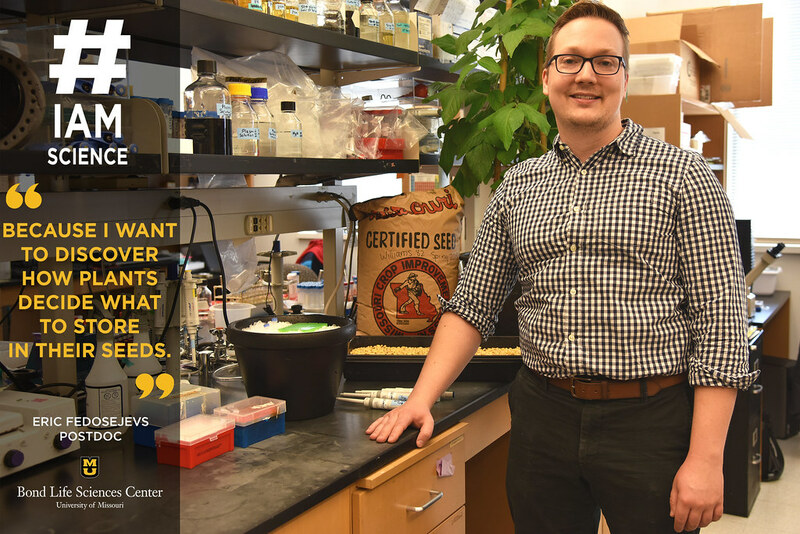 With two years under his belt in the Mendoza lab, Zachary now works to uncover some weighty issues in plant cells. That process is called bio fortification, and it allows plants to be more efficient at absorbing nutrients, which will help to alleviate world hunger. When he’s not working to feed the world, Zachary’s dreams of blasting off to Mars consume him. However, in the meantime he wants to maximize his experiences at Mizzou. They say only an engineer could figure out their way around the engineering building at Mizzou. Now in her junior year, Sarah Gebken boasts the ability to do just that. 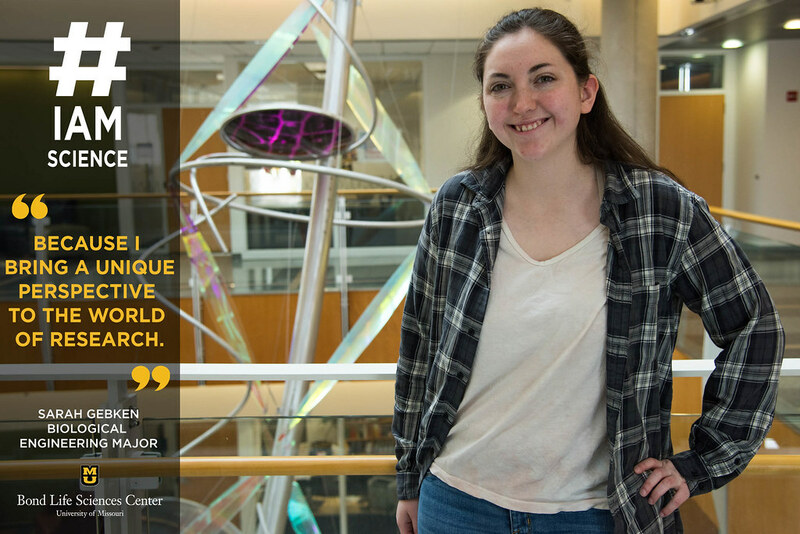 Her unique perspective as a biological engineering major translates to her work in Chris Pires’ lab in Bond LSC, too. As both an engineer and a scientist, Gebken is prepared to contribute new ideas when trying to find solutions to complicated issues. The lab focuses on trying to get Clustered Regularly Interspaced Short Palindromic Repeats (CRISPR) to work in Brassica oleracea — a species of plants that includes cabbage, cauliflower and kale. Doing so has the potential to transform the farming industry. “The main goal of our research is to save farmers space and time,” Gebken said. CRISPR acts like scissors to DNA, which helps Gebken and her lab mates gain valuable understanding of the genes. 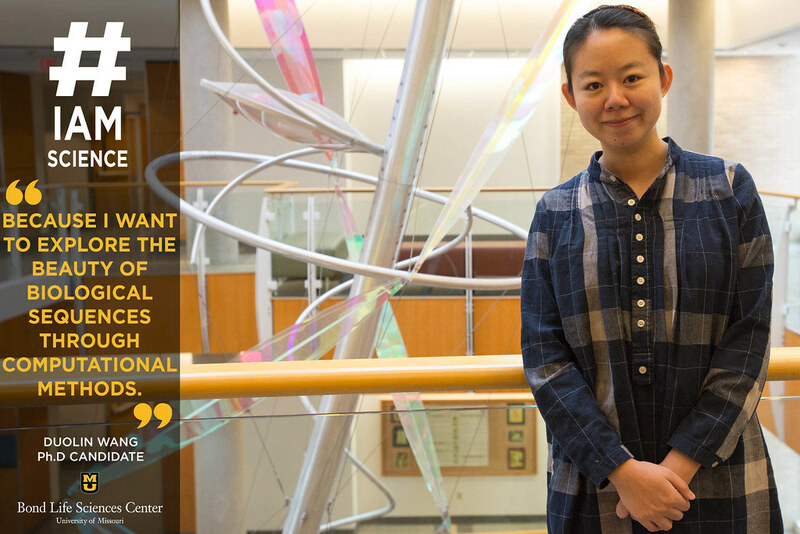 Although Gebken has been trying to find a solution to the same question since she joined the lab as a freshman, she still finds the research satisfying. Working with the plasmids is the next piece of the puzzle that the lab is aiming to complete. Once they figure that out, it’ll allow them to use that understanding to make better plants for the world moving forward. After she finishes her undergraduate degree next year, Gebken plans to pursue a master’s degree and ultimately earn a Ph.D.
For Gebken, the quizzical nature of science serves as motivation to keep going.